Struggling to cope with his mother's deterioration from cancer, a young boy is visited by a tree monster. 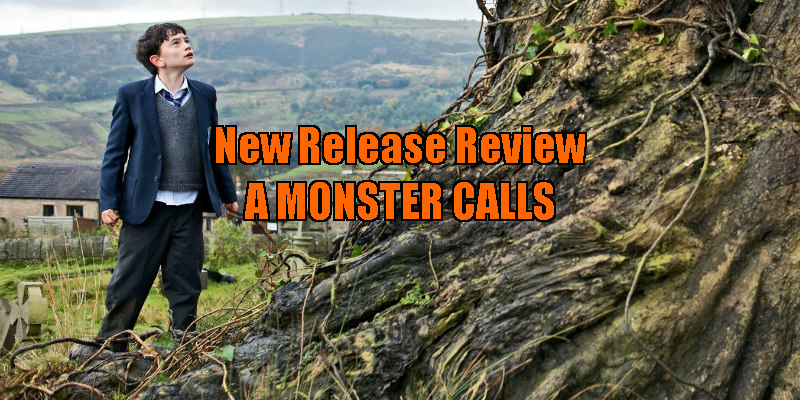 A Monster Calls refuses to wear kid gloves, and is brutally honest about the cruelties of life, yet it's never cynical. It's a heartfelt, humanistic tribute to how we cope with forces beyond our control, as hopeful as it is heartbreaking. There's a moment in JA Bayona's Spielbergian adaptation of Patrick Ness's children's fantasy novel, A Monster Calls, that's as jarring as that scene in which M Night Shyamalan appears as a modern park ranger in The Village, which we had previously believed was a period movie set in the time of the pilgrims. 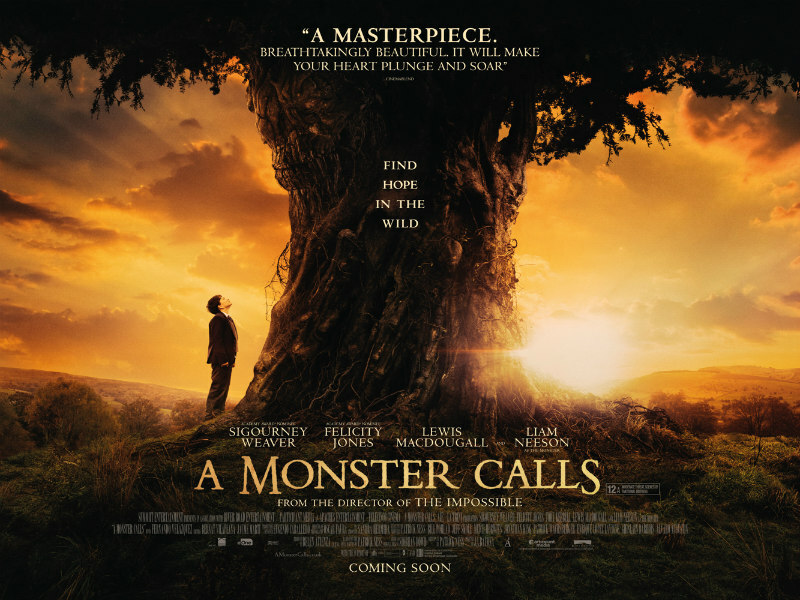 When A Monster Calls' protagonist, 12-year-old Conor O'Malley (Lewis MacDougall, outstanding in only his second screen role), steps on a remote control and inadvertently turns on a DVD player, it's a shock to learn the movie is set in our present. Though the film never explicitly tells us of its setting, everything up to that point leads us to assume we're watching a movie set at least a few decades in the past. Maybe it's the timelessness of its midlands UK location, the absence of cellphones, or the antiquity of Conor's grandmother's (Sigourney Weaver) bric-a-brac filled home. No, it's more how the film feels like a throwback to an earlier age when children's entertainment didn't talk down to its audience. 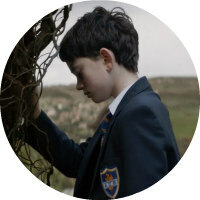 A Monster Calls' ancestors are those smart British children's sci-fi shows like Children of the Stones and Chocky, products of an age less concerned with over-protecting children from the realities of life. For Conor, life is about as bad as it gets for a 12-year-old in the developed world. His mother, Lizzie (Felicity Jones), has been battling cancer and is fast approaching her inevitable death; every day he's subjected to brutal bullying at the hands of a gang of boys at his school; and he's plagued by a recurring nightmare in which he struggles to hold onto his mother's hand as she dangles from a precipice. One night, Conor is shocked to see the yew tree that resides outside his window come to life. Voiced by Liam Neeson, the 'monster' informs Conor that he will tell him three tales, and will only leave the boy in peace if he provides a fourth tale in return. The stories the monster spins begin like classic fairy tales, only to climax with the sort of downer endings Guy de Maupassant would be proud of. Conor struggles to make sense of the tales, but the adults in the audience will understand exactly what the monster's intention is. Like his character in The Grey, here Neeson is once again preparing a character to deal with death, though in this case someone else's. Having tragically lost his wife, actress Natasha Richardson, it's easy to see why the Irish actor might have been attracted to both movies. Bayona's film pulls off a skillful balancing act of telling us the story through the eyes and psyche of its child protagonist while allowing us to see the adult characters as the caring individuals they really are, as opposed to the villains they appear as in Conor's eyes. When we first meet Weaver's grandmother, she's seen and heard from Conor's point of view as he listens in on a conversation about her plans to have the boy live with her following his mother's passing. As such, she initially comes across as a classic fairy tale villain, but when Bayona allows us to see her through our own eyes, we realise she's suffering as much heartbreak as Conor, and merely wants to do the right thing by her daughter and grandson. Similarly, Toby Kebbell as Conor's absent father is far from the bad guy he might be in a less nuanced treatment of this sort of story. "Few of us live happily after," he tells his son. "Most of us just live messily after." A Monster Calls is in cinemas January 1st.